Let the Husqvarna Automower do the work for YOU! 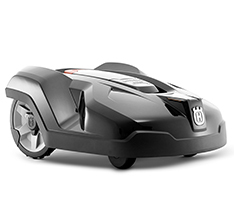 Manages both mowing and charging automatically and is suitable for areas up to 2200 m². When the battery needs recharging the mower returns to the charging station, charges and then continues mowing. Since this model cuts the grass so frequently, the result is excellent. Using the settings via the keypad and display, the mower can be adjusted to do a first-class job even on lawns with a complicated shape.